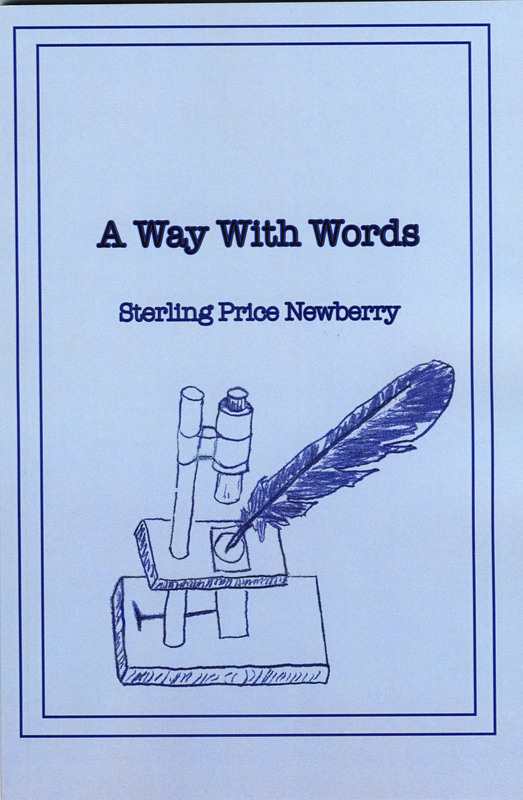 For his 100th birthday I helped my Dad publish a book of his poetry, A Way With Words. You can purchase it on Amazon.com, or get it from me for $10.00 including shipping within the United States. Email below to purchase. 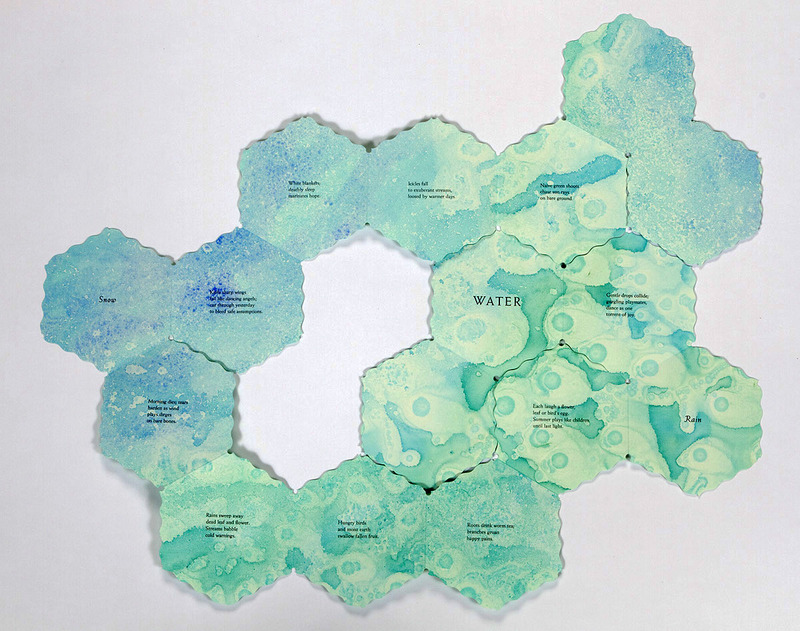 Artist’s book Water. 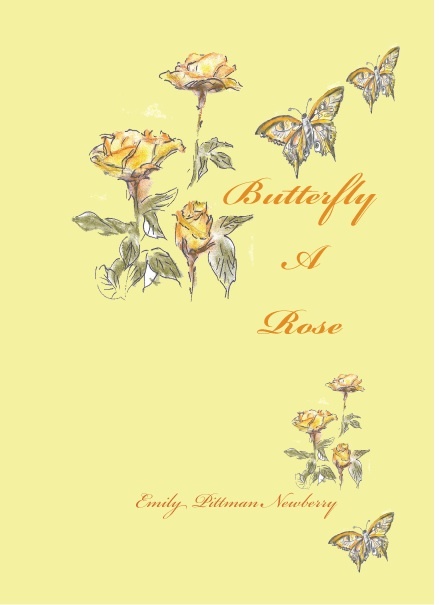 Art and book by Shu-Ju Wang, poetry by Emily Newberry. Limited edition hand-made book, Meandering Book structure with hexagonal pages so the book lays flat when opened fully. The book uses letterpress, Print Gocco (silkscreen), and painting to create an edition of 40 books. The main poem reads in the round and has no beginning or ending. Shu-Ju silk screened, painted and bound the books by hand. Individually numbered and signed by the artist and poet. Cost $400.00. Email below for details. 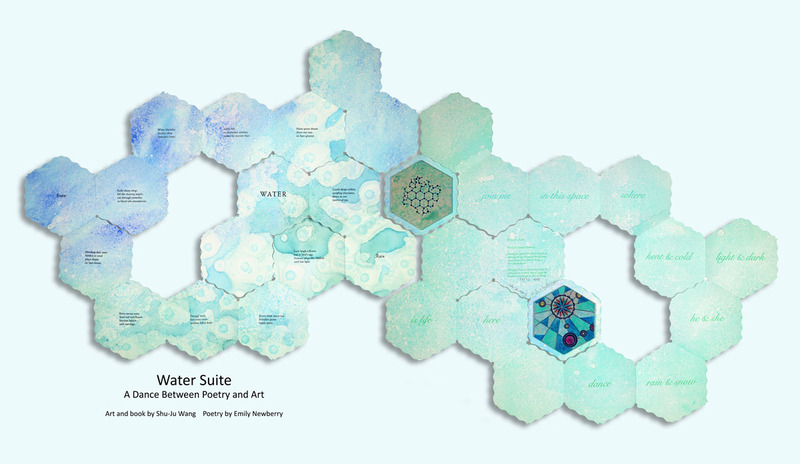 Water Suite print. Limited edition of 80 prints with both the front and back of the artist’s book Water full sized. 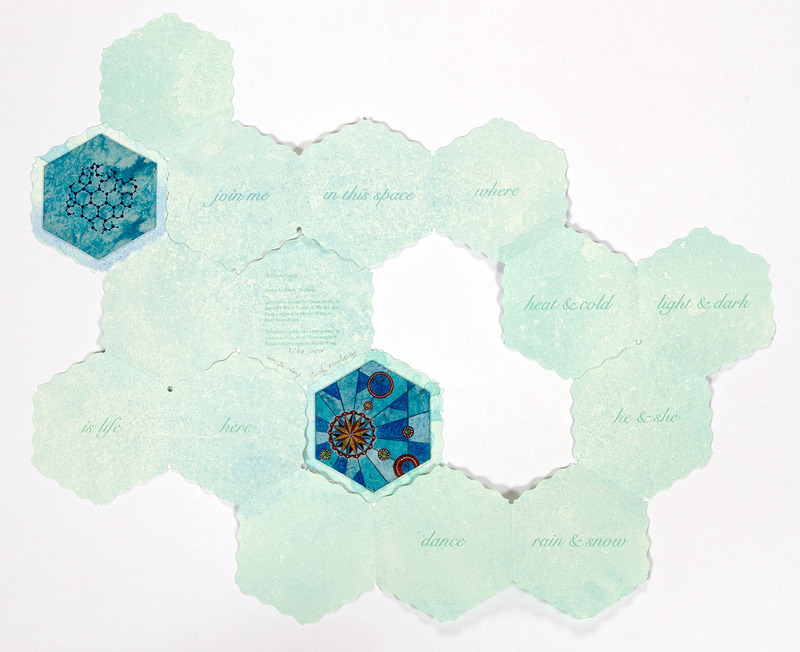 Each print individually numbered and signed by artist Shu-Ju Wang and poet Emily Newberry. Approx. 33.5 x 53 inches including borders. On museum quality paper. Cost $250.00. Email below for details. Butterfly A Rose, A Journey Through Transition. 101 pages of poetry by Emily Newberry. $14.98 + shipping. Available from Amazon or at local bookstores in Portland, OR. Signed editions available from the author. Email below for details. 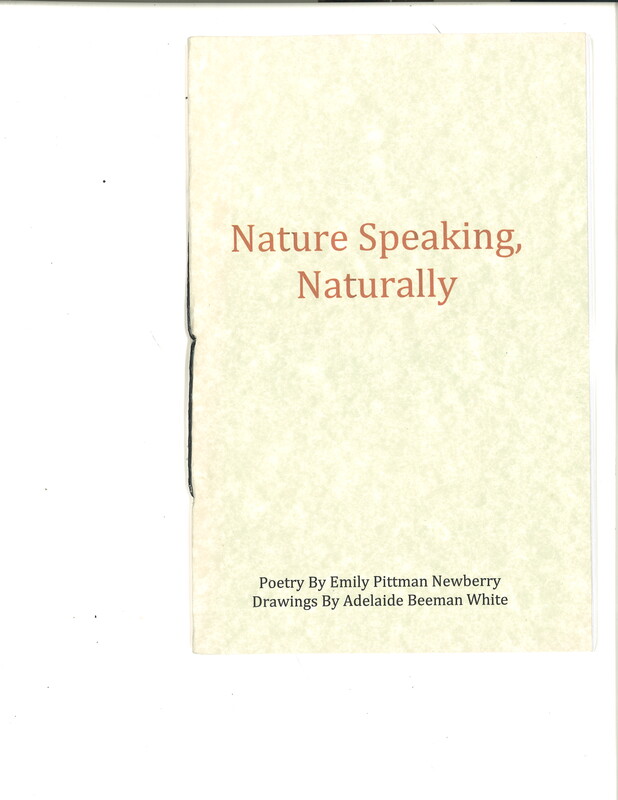 Limited edition chapbook of poetry by Emily Newberry and drawings by Adelaide Beeman-White. 22 pages. Hand sewn and signed by both authors. $10.00 + shipping. Email below for details.